The saga of The Girl With The Dragon Tattoo series has turned into Sony securing its place as the most unnecessarily apprehensive studio in Hollywood. The 2011 film grossed $233 million world-wide off a $90 million budget, but apparently for Sony that isn’t a big enough profit to guarantee continuing the trilogy. The studio was hoping the film would be a mega-blockbuster, and while it wasn’t, it’s worth taking into consideration that the successful Swedish trilogy based on Stieg Larsson’s writing began a mere 2 years before David Fincher’s film hit theaters. Despite Sony’s apprehension, Daniel Craig recently said he’s sticking with the films and not giving up hope, regardless of whether Fincher returns. Though we don’t have any official news on Fincher’s involvement, it turns out that it may be Fincher returning regardless of whether Craig is involved. 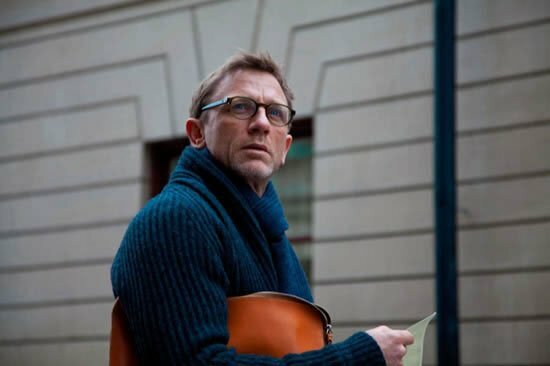 After the success of Skyfall, Craig wants a raise for the Dragon Tattoo sequel, after all, Skyfall has raked in over $1 billion dollars worldwide. Sony isn’t so keen on dishing out more cash though, and it turns out they may simply write Craig’s character, Mikael Blomkvist, out of the next two films. As a fan of how well the first book was adapted to the screen, I’m pretty shocked to hear the studio is even considering this. Granted, Blomkvist’s role in the second book isn’t as significant as it was in the first, but he’s still one of the two main characters, and a good bit of the story is lost if he’s removed. Yes, fans would still show up to see Rooney Mara as Lisbeth Salander, but I guarantee many would be turned off by Craig being written out of the film. I really can’t figure out why Sony is so intent on cutting costs for this project. I thought The Girl With The Dragon Tattoo was excellent. It was definitely one of my favorite films of 2011, so I’ve been extremely discouraged that production still isn’t underway for the next film. All three of Larsson’s books are well-written, captivating stories, and while the first is probably my favorite, I certainly want to see films for the other two, and I think they would do quite well, possibly exceeding the box-office figures of the first film. Unfortunately, it looks like this is all going to boil down to money, so who am I to say what Sony should do? But if anyone from the studio is reading this, just know that this writer will be very disappointed if Craig isn’t in the next film. Are you as upset as I am about this news? Can The Girl With The Dragon Tattoo series be successful without Craig? Share your thoughts in the comment section below.